Our teaching manner is relaxed and comfortable, with detailed explanations, and an emphasis on understanding not only what to do, but why. WingTsun Kung Fu is a concept and principle-based art, and our instructors feel it is important that students know how what makes WingTsun tick. Please note that we have recently moved within the building from Suite 301 to Suite 106 (no more stairs!) due to construction / renovation work within the building. We are updating all address references as quickly as possible. 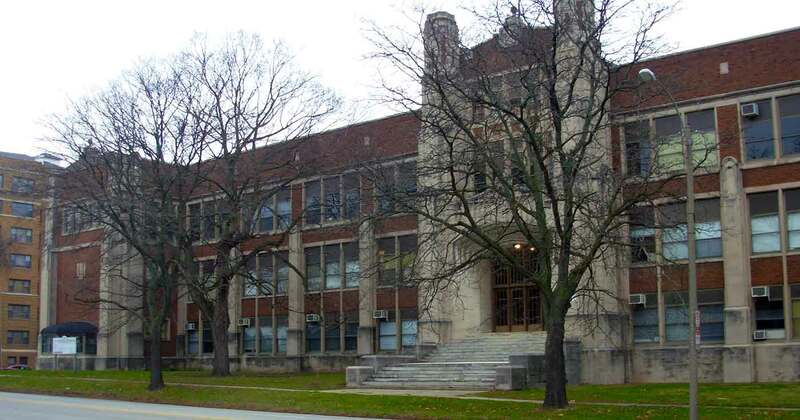 We are located inside The Attractive Alternative building, which is the former Bloomington High School and Bloomington Junior High School. It’s a beautiful old school building with marble floors in the halls and hardwood floors in our school. High ceilings and huge windows help create a relaxing and expansive feeling. 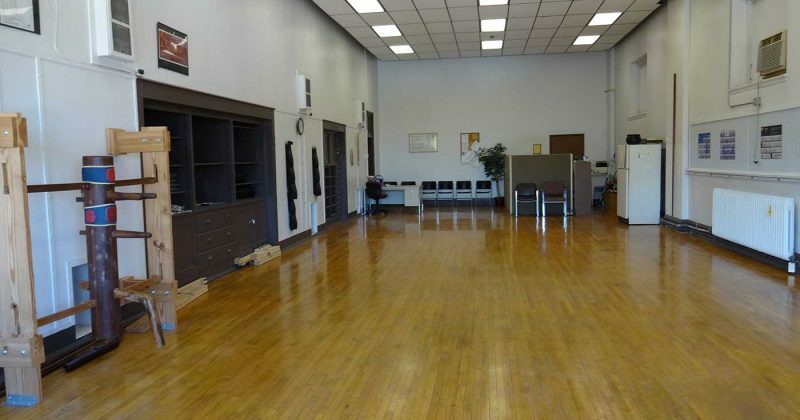 In addition to our martial arts school, the building is also home at various times to a variety of classes, dance studios, academies, offices, etc. There are building entrances on the west side of the building on McLean Street and at the northwest corner of the building at the corner of McLean and Jefferson Streets. Turn off of Washington Street onto McLean Street and go 1 block north to Jefferson and McLean. 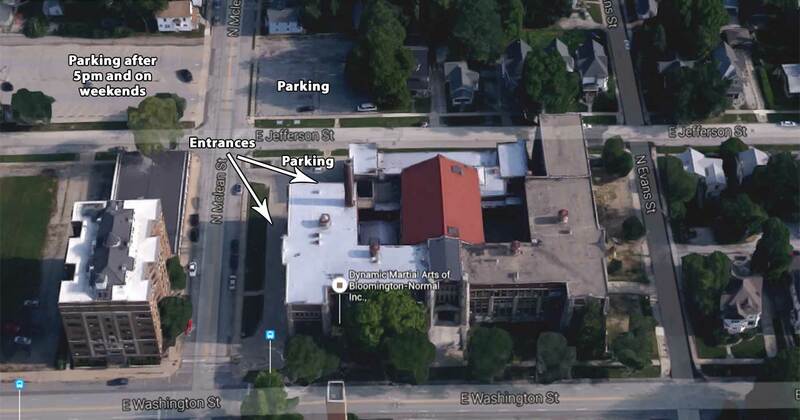 There are two parking lots for the building at the corner of McLean and Jefferson Streets, one by the building and another directly north of the building on the other side of Jefferson Street. You can also park on the street on McLean Street or Jefferson Street. If you enter the building from McLean Street, the main stairs are just inside the door. If you enter from the corner of McLean and Jefferson, just go straight down a short hall to the main hall and you will see the main stairs. Suite 106 is on the first floor directly across the hall from the main stairs at the west end of the building. Private lessons are available by appointment. Occasional special workshops, seminars, and women’s self-defense classes are available on weekends. Come try a FREE martial arts class in Bloomington, Illinois….